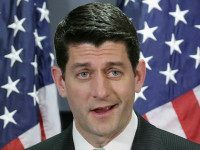 Hayward: Who Needs the ‘Resistance’ When You’ve Got the GOP Writing the Budget? Why does the left bother with “Resistance” theatrics when the Republican Congress funds their entire wish list anyway? Rep. Dave Brat (R-VA) spoke to Breitbart News Daily Tuesday, offering a look ahead at the lame-duck budget battle, which could include another government shutdown drama. 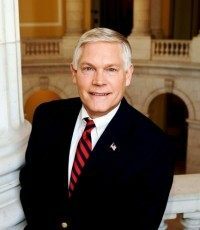 Congressman Pete Sessions (R-Texas) is touting the passage of a Department of Homeland Security (DHS) appropriations bill as the fulfillment of a promise he and House Republicans made to block President Barack Obama’s executive orders granting amnesty to millions of illegal immigrants. 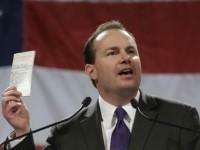 Conservative movement leaders are unveiling the mandate they say Republicans have heading into this new Congress, after voters gave them a majority in both the House and Senate for the first time during President Obama’s tenure. 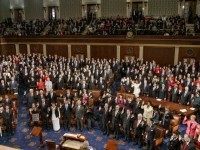 The document, obtained exclusively by Breitbart News, details how the conservative leaders expect Republicans in Congress to “stop” Obama’s “fundamental transformation of America,” something they say the American people made clear in the 2014 midterm elections with such resounding GOP victories. 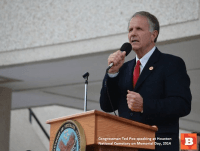 HOUSTON, Texas – Congressman Louie Gohmert was greeted to a war hero’s welcome by Tea Party Patriots in Houston on Saturday. The grassroots training meeting was planned before this week’s historic House of Representatives Speaker’s vote and Gohmert had agreed to be the keynote speaker. Gohmert received three standing ovations, one lasting over a minute long. Sen. Rand Paul (R-KY) says former Florida Gov. Jeb Bush, a fellow likely 2016 GOP presidential candidate, is a “moderate.” Calling a Republican who’s seeking the GOP nomination a “moderate” is a clear insult in Republican presidential primary politics. During that selection process, each of the candidates is likely to focus on highlighting conservative credentials to please GOP base voters. 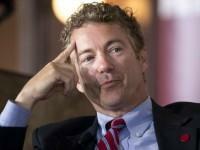 Paul further hinted Bush would be open to tax increases and more government spending, positions no candidate is likely to take while trying to win the nomination. 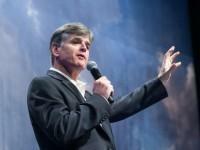 Fox News anchor and nationally syndicated radio host Sean Hannity is not backing down from his call for a fresh Republican leader to take over as Speaker of the House on Tuesday. How can any legislator, after taking the same oath, then elect as House Speaker a man who contributed to presidential lawlessness as Boehner did in the lame duck session alone? 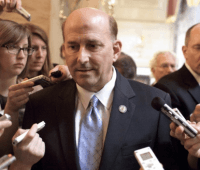 Representative Louie Gohmert (R-Texas) announced Sunday morning on Fox & Friends that he would challenge current Speaker John Boehner (R-Ohio) in his re-election bid. 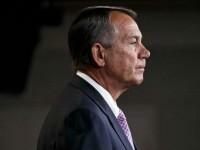 A third Republican Congressman, Rep. Ted Yoho (R-FL), has joined the public movement against House Speaker John Boehner’s re-election. Yoho joins Reps. Jim Bridenstine (R-OK) and Thomas Massie (R-KY) in announcing he will not be voting for Boehner on Tuesday—and Yoho also now is the first GOP member of the House of Representatives to announce he is willing to stand up as an alternative candidate to Boehner if no other alternatives emerge.